There’s no doubt that Barcelona is a vibrant city with plenty of sights to see, but if you feel like escaping the city for the day, Catalunya has unlimited opportunities for scenic day trips from Barcelona. 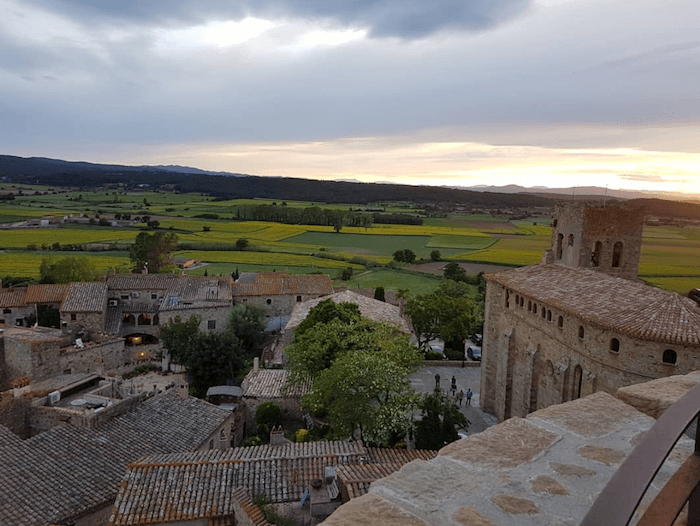 If you’re into Game of Thrones, or just a lover of all things medieval than look no further than a day trip from Barcelona to the beautiful region of Empordà. Nestled between Sant Feliu de Guíxols and the French border, you may have heard of one of the most famous towns there, Figueres, birthplace of Salvador Dalí and one of the most popular day trips from Barcelona. However, this region has much more to offer, head into the quieter parts where you will find a number of medieval villages to explore. The fact that the region is just a short hour and forty-five-minute car journey from the city centre make it the perfect day trip from Barcelona. Make a whole day out of it by hiring a car and exploring a couple of the exciting options we lay out below, stopping for a spot of lunch at the location of your choosing – this region has plentiful delicious restaurants. For your choice of the best day trips from Barcelona, choose from the following list. 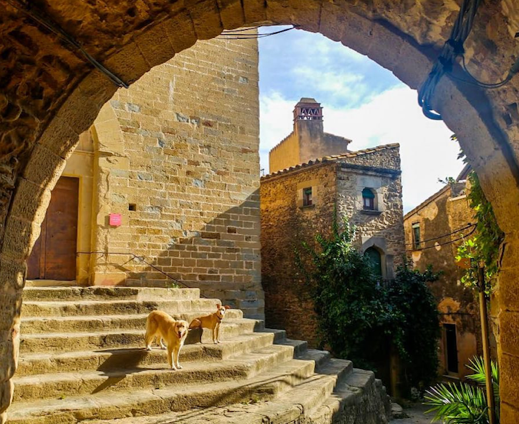 Situated east of Girona city, Peratallada is often considered to be the most beautiful town in Catalunya, due to its authentic medieval streets. A visit here will seem like you’ve entered a fairy tale, as you wander through the pebbled streets and marvel at the stone houses and the fortress around the town that remains to this day. 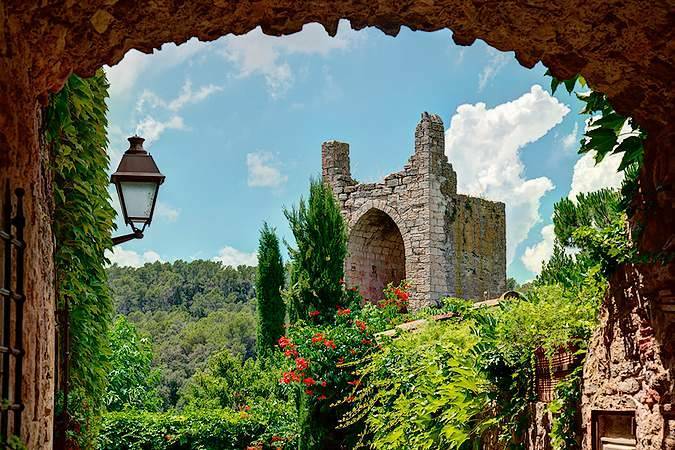 Full of hidden treasures, Peratallada also houses the Peratallada castle, dating back to the 11th Century. Once you are done exploring the town, make sure not to miss Gelats Angelo, an artisanal ice cream shop where you will be sure to have a gourmet experience. For the braver amongst you, it’s even possible to try ice cream flavours such as anchovy or cheese. If you are into cinema, you may recognize this town from the movie “8 Apellidos Catalanes”. Just 20 minutes away from Peratallada, the medieval town is built around a former castle, of which only one wall now remains. Take a leisurely stroll through its winding streets until you reach the magnificent porticoed Jaume I square, the centre of an important market in medieval times. Known as one of the most charming villages in the region, the historical centre of Pals has been well conserved thanks to a local doctor who ensured it was declared a Site of Historical Interest. 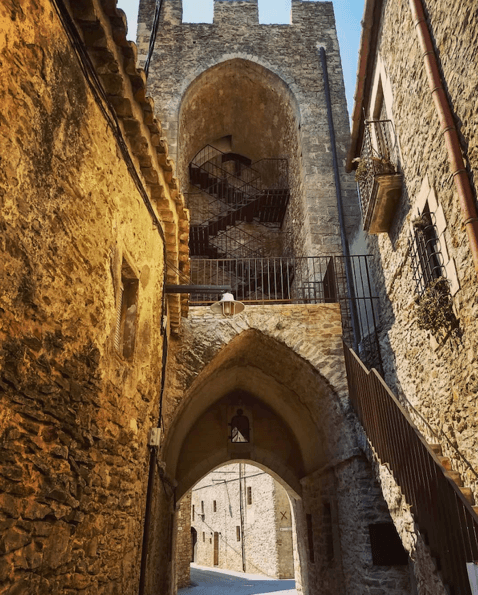 Throughout the town you will find a number of historical landmarks, including the “Torre de les Hores”, a circular Romanesque tower, where it’s possible to take a tour for free, and the “Església de Sant Pere”, which exhibits a curious mix of different architectural styles. Not only can you explore the medieval points of interest in Pals, but the town is also famed for its gastronomy. 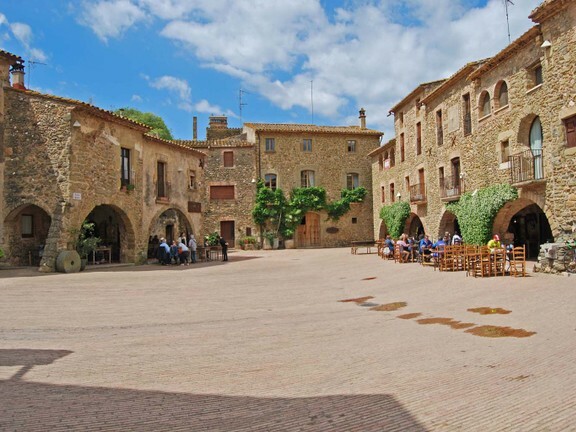 Another place to stop on your day trip from Barcelona is the small quaint town of Palau-Sator. Here you can explore sites such as the “Sant Julià de Boada” shrine, one of the most interesting pre-Romanesque monuments in the region, dating back to the 9th century. Palau-Sator is also a great place to stop for lunch on your day trip, due to its variety of highly-rated restaurants. Try Mas Pou for some traditional Catalan cuisine amongst beautiful countryside settings. For a rural escape amongst the mountains try heading to Madremanya for your day trip from Barcelona. More than just a beautiful medieval city, Madremanya lies at the foot of the Gavarres hill, making for some spectacular scenery. Thought to date back to 1053, the village oozes history and is the perfect place to hire a bike so you can take in everything this charming town has to offer. So, if you’re looking for an escape from the bustling city of Barcelona, why not escape to the beautiful countryside on one of these day trips?